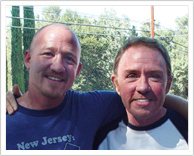 The Federici Family and the Melanoma Research Alliance (MRA) would like to give special thanks to Bruce Springsteen and the E Street Band and Thrill Hill Productions for their help in making the Danny Fund a world-wide initiative and for helping to find a cure and raise awareness of melanoma. The Danny Fund PSA debuted during Superbowl XLIII on February 1, 2009. The first track is "Flemington", one of my favorite songs of my father's. It was one of his favorites as well, named after the town we grew up in. Both of his albums, "Flemington" and "Out of a Dream" are from the soul of a rare musician's personal passion. You can hear it in every note. 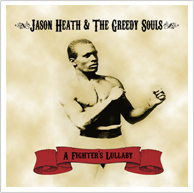 The second is a song from my band, Jason Heath & The Greedy Souls , entitled "A Fighter's Lullaby." It is a song written in memory of my father, and for those who find themselves traveling the wilderness of personal struggle. I've played in this wonderful band for over 5 years and have loved every minute if it. I hope you enjoy it. And finally "Carnival On High" a beautiful song written by my talented friend Joe Purdy. I ran into my old pal Joe in NY by chance while my father was in the hospital and not doing so well. Joe canceled his ticket home and played for my Dad every night until he passed. 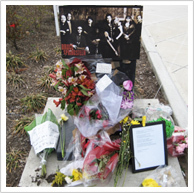 This is the song Joe wrote for him and played at his funeral. ...All I can say is thank you, Joe. Please accept these songs as a heartfelt and sincere gesture of thanks for helping us make the Danny Fund, not just a reality, but a force for educating folks and saving lives.